Cheer Leading, Cheering Sticks, Thunder Sticks. Taking into account the need of our clients we are engaged in offering Cheer Sticks. 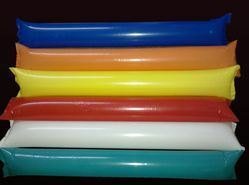 Our proficiency lies in providing exclusively designed Customized Cheer Stick that is available at fair market price. 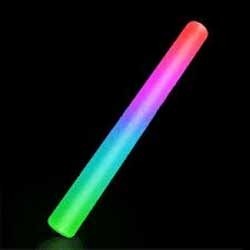 "18"" LED light sticks with Red, Green, and Blue LEDs. 3 Modes. Soft and safe. Great for concerts, sporting events. outdoors or in the club. On and off switch.